Once upon a time devices needed to be physically connected to an internet connection or even worse- a phone line in order to browse the web. We don’t often think about those dark days since virtually everywhere you go, cordless and wireless connection is available for your phone, tablet, laptop, and even computer. Most houses don’t even have landlines to call anymore which just shows how far we’ve come. But having a faster and more convenient connection to the web allows intruders and hackers to link right up to all of your devices. Also, neighbors and strangers may be using your bandwidth to access the web, leading to slower internet connections for you and a higher internet bill. There have even been cases where individuals’ email accounts were being remotely controlled by hackers and were sending hate emails out of someone the network owner’s accounts. Changing the name of your router is extremely important and should be one of the first things you do when you install a new network at home. You can do this by logging into your router’s admin page and editing your network settings. Having a unique SSID allows friends and family to more easily find your connection name and prevents potential hackers from completely finding out who your internet provider is/what the make and model of your router is. Changing your network’s password is also extremely important. By changing your password, it makes it difficult for possible intruders to access your network. Most routers have admin or master logins that the hackers can then use to gain access to your connection. By changing both the admin password as well as SSID, you are preventing potential strangers from accessing your information. Consistently look at your internet provider’s website to make sure that your router is updated. 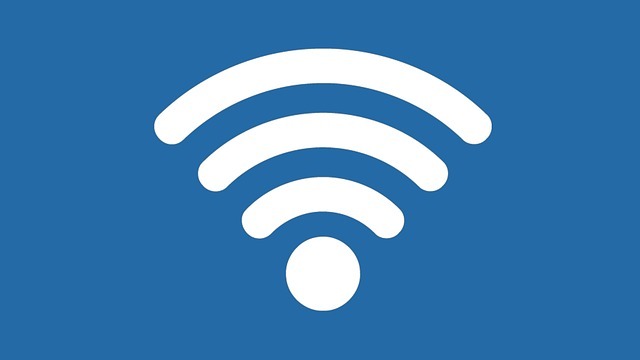 With each update and patch, your router becomes more secure and potential vulnerabilities are clogged up making your connection safer. In addition, hackers must change their software each patch to find new ways around it. Keeping your firmware up to date is a great way to prevent your network from becoming compromised. If you suspect someone is using your internet connection without permission, you can check the list of devices for yourself. Log on to your router’s admin page (the one you logged on to change your password) and look for the list of devices currently using your network. If you see an unfamiliar device, you can change your password or block that device from ever accessing your network again, even with the password. For more information on how CIO Tech can help keep your business secure, click here.